LOS ANGELES – Celebrating the 100-day countdown to the FIFA Women’s World Cup France 2019™, today FOX Sports unveils its lead announcers, programming and company-wide digital and marketing plans for the month-long tournament. From Friday, June 7 through Sunday, July 7, the brand offers unprecedented coverage live from Paris’ iconic Place du Trocadéro on its television and digital platforms. Legendary broadcaster JP Dellacamera and former U.S. Women’s National Team midfielder and two-time Olympic gold medalist Aly Wagner lead FOX Sports’ world-class broadcast team for the 2019 tournament. All 52 matches air live, including 22 on broadcast television – more than any FIFA Women’s World Cup™ ever – and 27 on FS1. The announcements were made today by David Neal, Executive Producer, of FIFA World Cup™ on FOX and Vice President of Production, FOX Sports. Dellacamera has covered 14 FIFA World Cups™ (nine men’s, five women’s) on TV and radio, while this summer’s tournament will be Wagner’s third (two women’s, one men’s) as a broadcaster. During last summer’s 2018 FIFA World Cup Russia™, Wagner made U.S. English-language television history as the first woman to call a men’s FIFA World Cup™. The duo will start the Road to France, calling tonight’s USA-Japan SheBelieves Cup matchup at 7:00 PM ET on FS1. 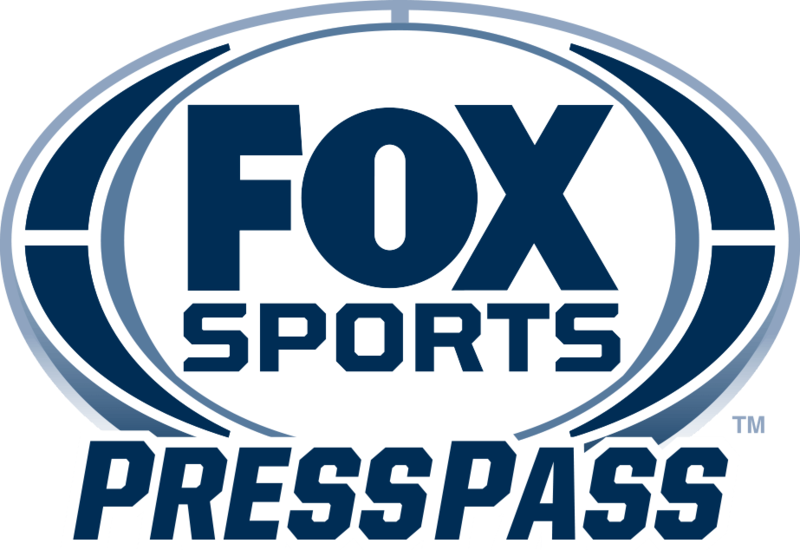 FOX Sports offers more than 800 hours of coverage across linear and digital, including two daily studio shows – FIFA WOMEN’S WORLD CUP™ LIVE and FIFA WOMEN’S WORLD CUP™ TODAY – live from Place du Trocadéro in Paris. FOX’s state-of-the-art set is located within the famed Palais Chaillot at Café de l’Homme, offering the iconic Eiffel Tower as a visual backdrop. The FIFA WOMEN’S WORLD CUP™ NOW show, live-streaming in the U.S. on Twitter every matchday, also originates from the Paris studio, featuring FOX Sports personalities, highlights and fan interaction. Late night TV studio coverage originates from FOX Studios in Los Angeles with FOX SOCCER TONIGHT, wrapping up the biggest FIFA Women’s World Cup™ and Concacaf Gold Cup headlines. In addition to its live show, a key part of the FOX Sports-Twitter collaboration (more details here), @FOXSports and @FOXSoccer provide near-real-time highlights for every goal, plus additional content, especially around the U.S. WNT to elevate top moments. Pre-FIFA Women’s World Cup France 2019™ content begins today ahead of tonight’s SheBelieves Cup coverage including match highlights, the popular “90 in 90” video recaps, insights and Twitter Q&A’s from FOX Sports on-air talent, player interviews and Twitter Moments that curate all the best tweets and content around the top storylines. On the field, the U.S. Women’s National Team headlines the 22-match lineup on FOX, facing Thailand (Tuesday, June 11 at 3:00 PM ET), first-time World Cup participant Chile (Sunday, June 16 at 12:00 PM ET) and No. 9-ranked Sweden (Thursday, June 20 at 3:00 PM ET) in Group Stage action. The tournament concludes Sunday, July 7, at 11:00 AM ET on FOX with the final match to crown the FIFA Women’s World Cup France 2019™ champion. Host country France kicks off the tournament in the opening match against Korea Republic, Friday, June 7, at 3:00 PM ET on FS1. An additional 26 matches are televised on FS1, including appearances by top teams Germany, England, Japan and Sweden. No. 2-ranked Germany opens its World Cup campaign against No. 15-ranked China PR on Saturday, June 8, at 9:00 AM ET. On Tuesday, June 11, at 12:00 PM ET, No. 9-ranked Sweden faces No. 38-ranked Chile. No. 4 ranked-England closes its group stage campaign against No. 8-ranked Japan on Wednesday, June 19 at 3:00 PM ET. The full schedule can be found HERE. All matches will be live-streamed on the FOX Sports app and FOXSports.com. In celebration of the 100-day mark, today FOX Sports airs its “Remember Us” promo spot, which is part of the “All Eyes on Us” campaign, and features the U.S. Women’s National Team across FOX, FS1, FS2, FOX News and its Regional Sports Networks. In addition, all on-air elements include customized 100-days branding.